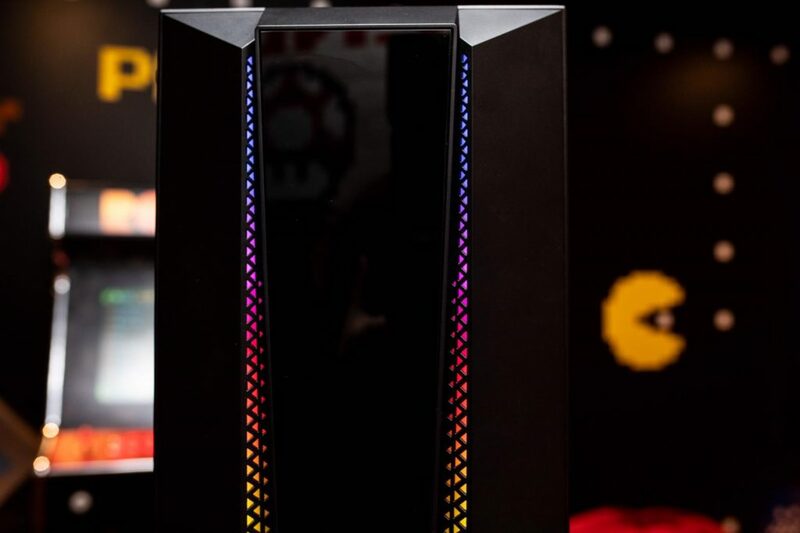 Aetolia reviews the GameMax Phantom Mid Tower Case, complete with RGB Rainbow Strip. My week has been made after receiving a new case from GameMax, my favourite UK based PC parts retailer and I couldn’t be happier. This case is named “Phantom” and rightly so as the print on the packaging has a mask that even Michael Myers would be frightened to witness. 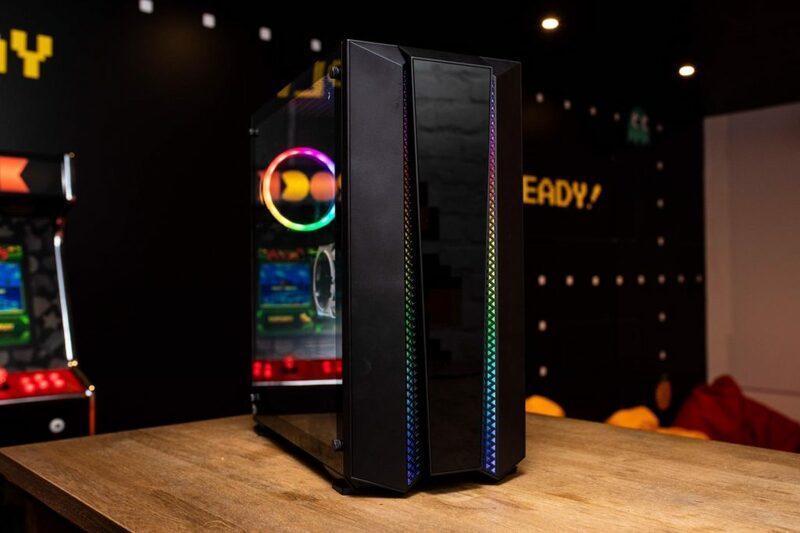 The Phantom case is a Mid-tower with a Tempered Glass side panel and is available to purchase on Amazon with an RRP of £69. Although this is a Mid-tower, it has more room than you’d think. This is because the hard drive bay and PSU are enclosed in a shroud, which frees up the right hand side so it’s not being clogged up by a hard drive and optical drive racks which are typical on the majority of cases. Being a mid, and the size of the latest GPUs these days… This is a life saver. Upon receiving and opening the box, as with all GameMax products, you can expect your case to be properly packaged with a cellophane layer over the PC tower itself, and both ends secured in 2 thick polystyrene chucks cut out specifically for the case. Because of the thickness of the polystyrene this also leaves the case suspended in the centre and away from the edges, so if your delivery driver is feeling a little rumbustious, there’s a good few inches clearance between case and cardboard. Well thought out logistics. 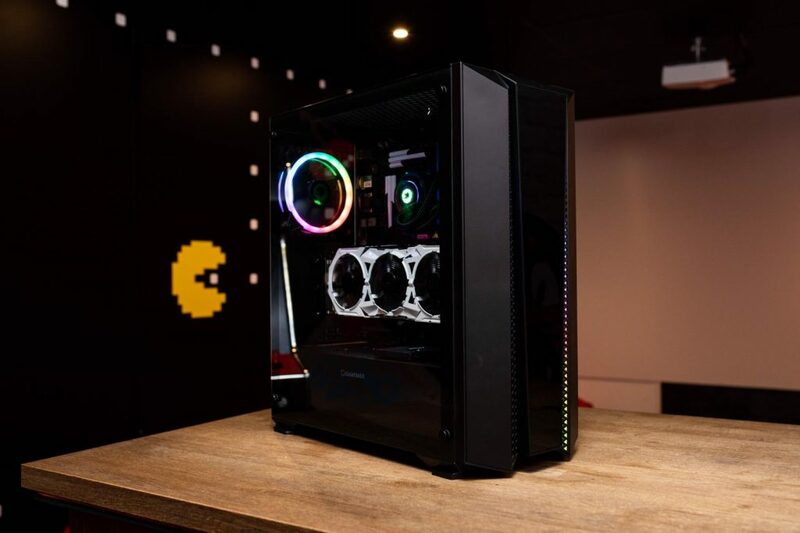 My first impression of the Phantom after unpacking was simply, “Wow look at that front, oh I hope that’s RGB!” and then in record speed immediately after that was “Is that a vertical GPU mount?” And once again GameMax delivers – of course it’s RGB! And a first for me in a GameMax case to have a vertical GPU mount (which can also be turned horizontal for the standard form factor). 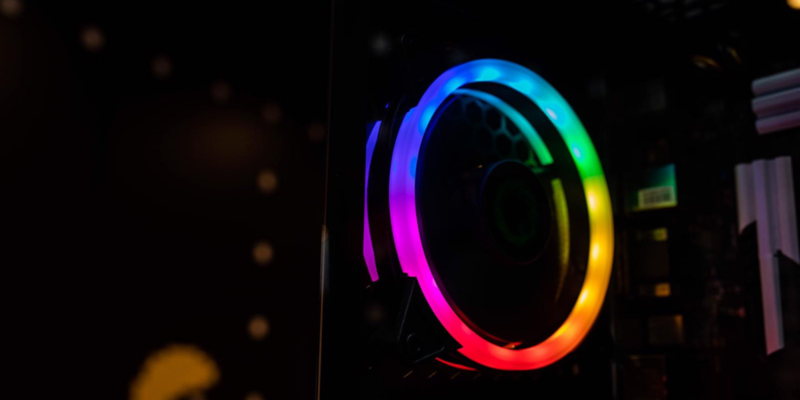 The case includes 1 GameMax Spectrum 120mm fan at the rear, 2 RGB strips already built in so no installation required there. A PCB hub which allows up to 6 fans to be connected so the RGB is in sync; this is all powered by a Molex pass through connector. 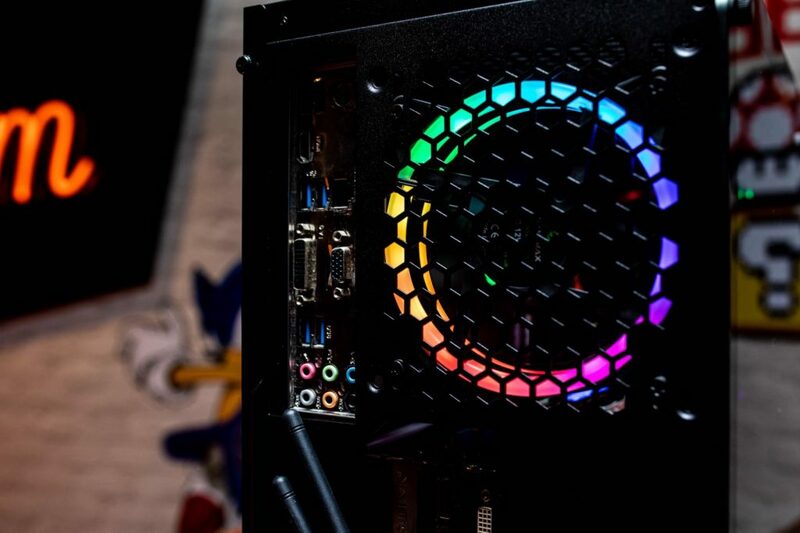 To control these lights there is a convenient ‘LED’ button on top of the case which cycles through your colour modes and to name a few: Static Rainbow, Rainbow Cycle, Colour Pule and Static colours – Red, Green, Blue, Pink, Yellow, White. The Vertical GPU mount included is already fitted in the vertical position and having it this way offers 3 PCIE back plates, but more are included in the bag of goodies if you wish to mount it the standard horizontal way. The front panel can be removed entirely by putting your hand in the slot provided directly at the bottom and giving it a strong pull. This is to allow access to fitting fans or radiators into the main compartment. The motherboards this case can support are ATX, Micro ATX and Mini ITX. 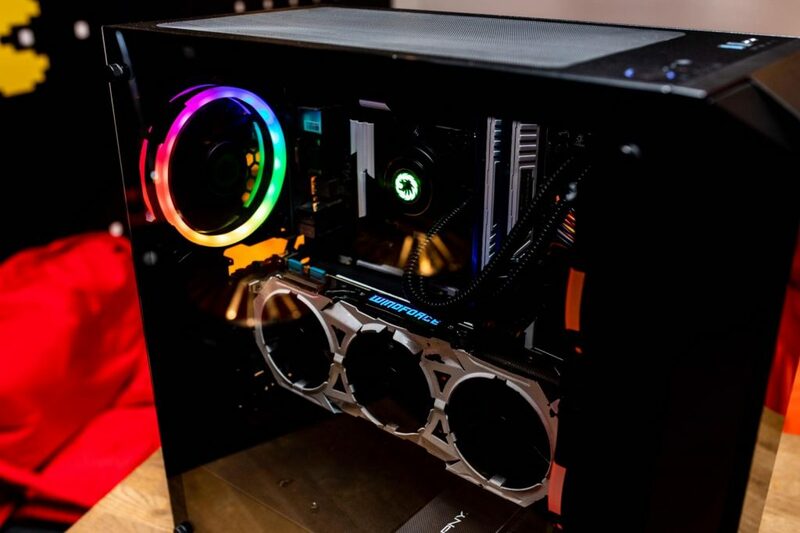 It already comes fitted with motherboard risers currently setup for Micro ATX, and GameMax includes extra risers and the tool to tighten/undo so for any of the 3 sizes compatible, GameMax has you covered. Upon opening the case by removing 4 thumb screws that holds the Tempered glass side-panel, you are greeted with a bag of screws, instruction manual and SSD mounting plates. 4 extra PCIE covers for when horizontal. PCB RGB Hub that supports up to 6 x fans. Some things of note before purchasing, nothing that’s manufactured wrong with the case but definitely points of note just to make sure this case is for you. If you decided to mount the GPU vertically, the second SSD bracket that is provided will not fit as the mount covers this. But GameMax clearly mentions this in the Case Specifications. There is only 355mm clearance for the GPU, if you decide to install an AIO (I used Gamemax’s own Iceberg 240mm AIO) A GTX 970 would only just fit, with a few CM to spare. The 970 measures 260mm so keep this in mind if you plan to AIO on the front but also using one of the longer GPU’s available on the market. Even though the case is vertical GPU supported, unfortunately the PCIE riser cable needed to execute this is not included, but can be picked up fairly inexpensively. 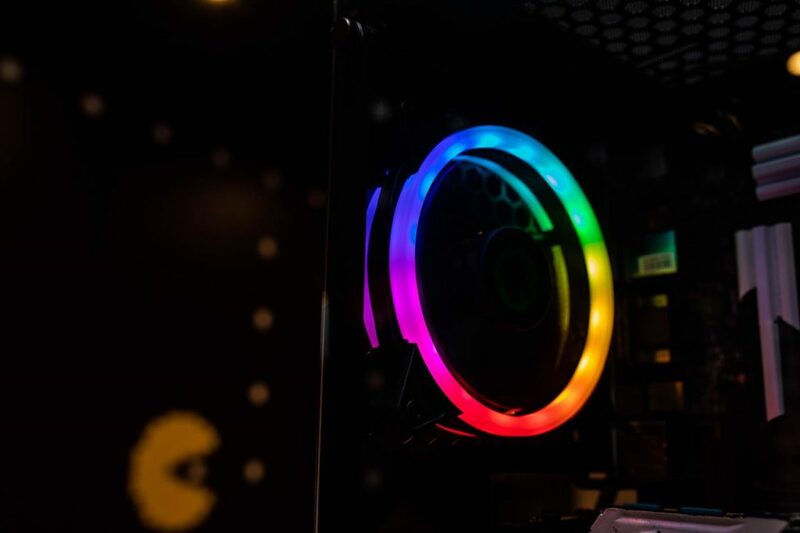 The Game Max Phantom Mid Tower RGB Case is available to purchase on Amazon here.